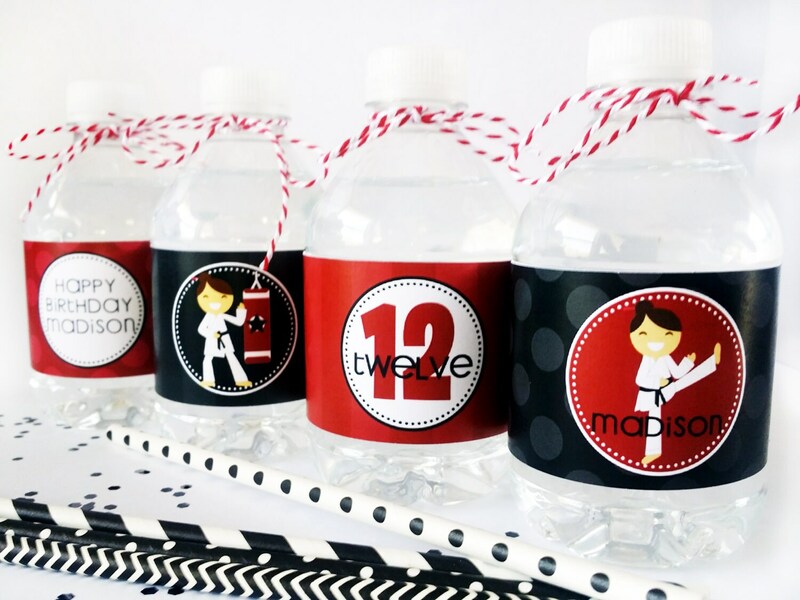 Water Bottle Labels personalized for you! Your choice of the following printing options. All printed water bottle labels come in sets of 12. • Non-Editable PDF will be emailed in 2 business days. • 4 labels print per page, labels are 8.5” x 2”. • File is set up to print on 8.5"x11" card stock or sticker paper. • Printed on waterproof sticker paper. • Each label is cut & ready for you to peel & stick. • Change Quantity to how many sets of 12 you need. • Leave name & age in note to seller or send us a message. • We will message your proof to you in 2 business days. • We will ship 2 business days from when you approve your proof. • FREE SHIPPING TO THE USA. 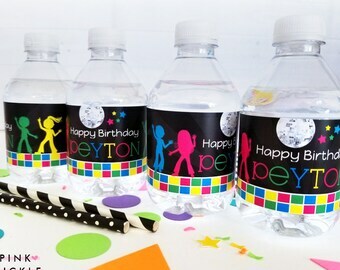 All Designs Have Been Created By Pink Pickle Parties │ Pink Pickle Studios. Our content & designs are protected under the US copyright laws. Please respect our work and do not copy or mimic our designs. All our products are for your personal use only and cannot be resold, shared or given away. The invitations are perfect! Thanks for the candy too!